World Health Day is celebrated every April 7th – it’s a day to promote global health awareness. World Health Day is held on this day to mark the founding of the World Health Organization (WHO), and is seen as an opportunity to draw worldwide attention to a different aspect of major importance to global health each year. The first was celebrated in 1948 – 70 years ago – when the WHO held its first ever world health assembly. This year, the WHO is calling on all leaders to live up to the pledges they made when they agreed to the Sustainable Development Goals in 2015, and to commit to concrete steps to advance the health of all people, everywhere. In our effort to build awareness, we are sharing some facts about health that may surprise you. 1. At least half the world’s population does not receive the essential health services they need. At CMMB, we view access to quality healthcare as a basic human right. We collaborate with partners to build locally sustainable healthcare solutions so women and children can lead healthier lives worldwide. Did you know that 100 million people survive on less than $1.90 a day? 2. Health costs have pushed 100 million people into poverty. Over 800 million people spent at least 10 percent of their household budgets to pay for healthcare in 2017. That is nearly 12 percent of the world’s total population – often the poorest – who are further impoverished by the cost of healthcare. Gloria was able to receive the healthcare she needed thanks to a CMMB donor. This image shows three photos showing her growth over the years. What does this mean for people living in extreme poverty? For children like Gloria, who lives in a poor and remote community in Kenya, it means a lot! She is a part of our Angel Investor program now, but before finding her Angel, her family had to choose between food and healthcare. As a result, Gloria’s mom – who lives miles from the closest healthcare facility – was unable to receive the care she needed before and after Gloria’s birth. This led to a host of health issues for both mom and baby Gloria. Fortunately, for Gloria and her family, things started to improve after they found their Angel Investor, Norbert, from Massachusetts. His monthly gift helps to ensure that Gloria and her entire family have health insurance, which gives them access care whenever they need it. Thanks to this gift, Gloria’s parents can focus on providing food, shelter, and education to their children. All necessary for a healthy life and bright future. 3. More people have access to a mobile phone than a toilet. Not everyone immediately recognizes the importance of proper sanitation. When so many needs go unmet – food, healthcare, shelter – others get pushed to the side. Toilets happen to be one of those expendable needs. In many of the communities where CMMB works, open defecation is a common practice. With limited resources and a lack of understanding about how this practice negatively impacts health, proper sanitation is not seen as a necessity or priority. We are working hard within these communities to change this behavior. Using the Community Led Total Sanitation approach, trained community health workers – or champions as they are called – use a variety of triggers to help people recognize the importance of building, using, and maintaining toilets (pit latrines) in their communities. CMMB volunteer Janet Choonga, spent a year in Zambia, training and educating communities around issues of improved sanitation. She explains that this helps communities to realize the consequences of poor sanitation, so that they themselves become the solution. When communities actually see how open defecation contaminates their water, and causes community-wide sickness, they are triggered to make a change and live healthier lives. 4. Weak health systems contribute to the deaths of 6.6 million children around the world every year. 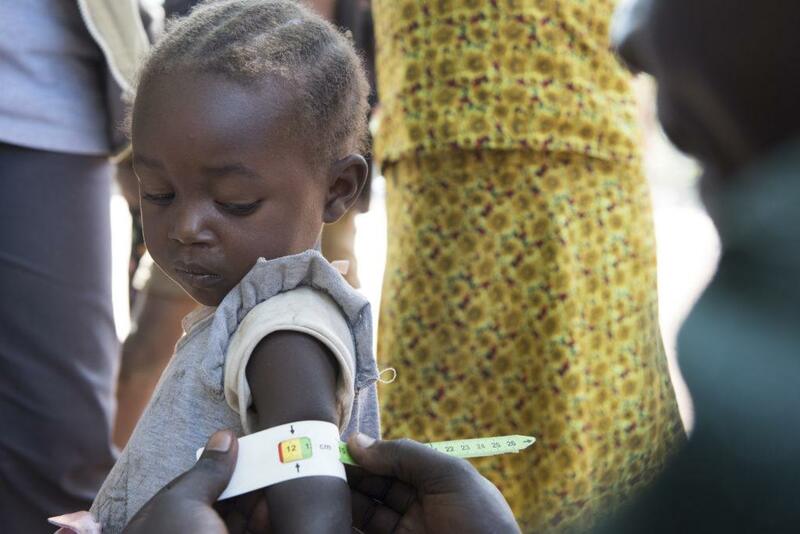 Jovana (pictured above) a two-year-old child is assessed for malnutrition, and was later diagnosed with acute malnutrition. She is at the CMMB clinic at the Rimenze IDP settlement, outside of Yambio, South Sudan. 5. Every day, over 800 women die due to complications during pregnancy and childbirth. CMMB works in South Sudan and Kenya, two countries with some of the highest maternal mortality rates around the world. In South Sudan the maternal mortality rate stands at 789 per 100,000, ranking it as 179th in the world. Kenya, stands at 510 per 100,000 ranking as 168th in the world. Many of these deaths can be prevented with access to better pre- and postnatal care. In Kenya, approximately 8,000 women die from complications during pregnancy and childbirth every year. 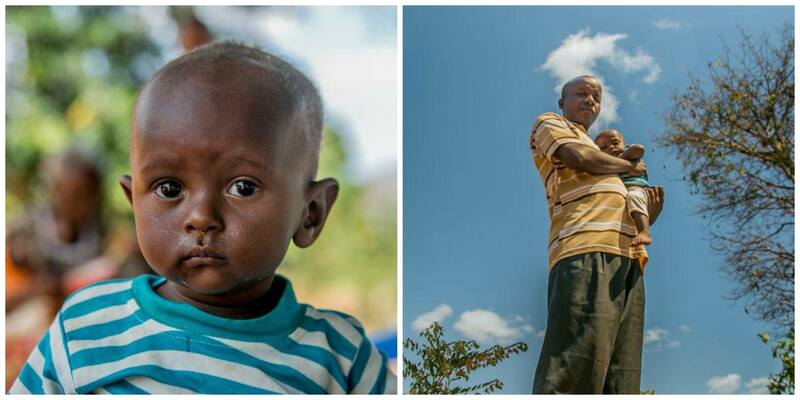 Baby Titus is just one of the children who was left without a mom. When Ndunge went into labor, a traditional birth attendant was by her side. Titus was born but the new mother began to hemorrhage. With the nearest hospital over 25 miles away, and no access to transportation, Ndunge slowly bled to death, leaving Titus and his siblings without a mother. Tragically, what happened to Ndunge is not uncommon. Many women in Kenya and around the world give birth at home, unable to travel the distance to the nearest hospital. Our community health workers are trained to identify pregnant women in their communities, and to educate and encourage them to seek pre-and-postnatal care, and to deliver at health facilities with trained birth attendants. No woman should die giving life. 6. Americans spend more on Halloween than the world spends on malaria in a year. Malaria accounts for half of all the deaths of Zambian children under the age of five, and about 20 percent of all maternal deaths. In partnership with USAID, CMMB has implemented training and support for community volunteers on how to prevent, control, and treat malaria, as well as how to deliver social behavioral change messages to communities. 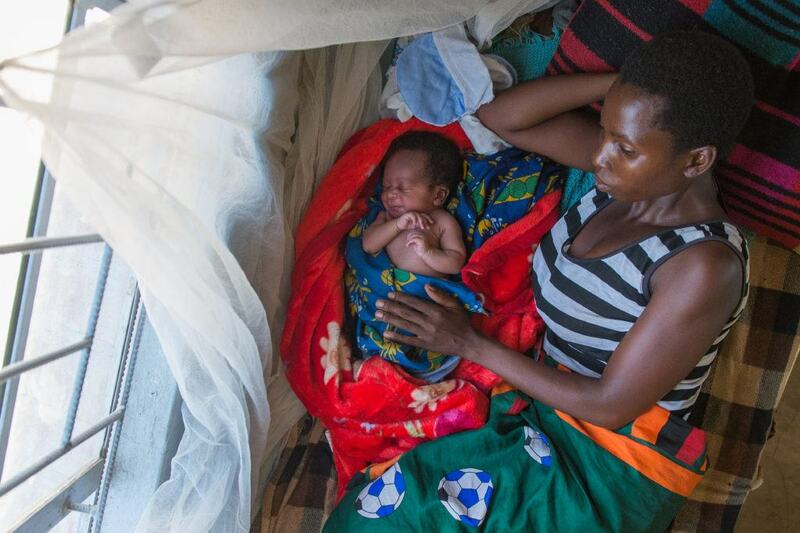 These messages urge communities, especially pregnant women, to sleep under malaria prevention nets, protecting the health of themselves and their children. 7. Diarrhea and pneumonia together kill more kids than AIDS, malaria and TB combined. Mwaka was only 16 years old when she gave birth to her first child, Namwaka. She was just a child herself and didn’t know anything about caring for a baby. Struggling with breastfeeding, she turned to feeding her baby a mixture of cornmeal and water from a bottle. In addition to the unfiltered water, the mixture lacked the vital nutrients babies need. Although Mwaka didn’t realize it, the regular bouts of diarrhea were causing Namwaka to become malnourished. Diarrhea kills 2,195 children every day—more than AIDS, malaria, and measles combined. Fortunately, Mwaka met community health worker, Mrs. Zuze, who supported her with breastfeeding. When Mwaka switched to breastfeeding, Namwaka’s health began to improve and her instances of diarrhea decreased. 8. Global Health has seemingly become a man’s world. Only 28 percent of top health officials at the WHO are women. Gender inequality exists all over the world. However, we see it most relevant in developing nations, where social implications have left women with few choices and little freedom. This is just one of the many reasons CMMB strives to empower women. For young women, one of the most powerful tools for empowerment is education and health. In partnership with the U.S. Department of State and the U.S. President’s Emergency Plan for AIDS Relief, CMMB has implemented the DREAMS program in Kenya and Zambia. DREAMS is two-fold. It aims to reduce HIV infections among adolescent girls and young women, while keeping young girls in school during key-dropout points. 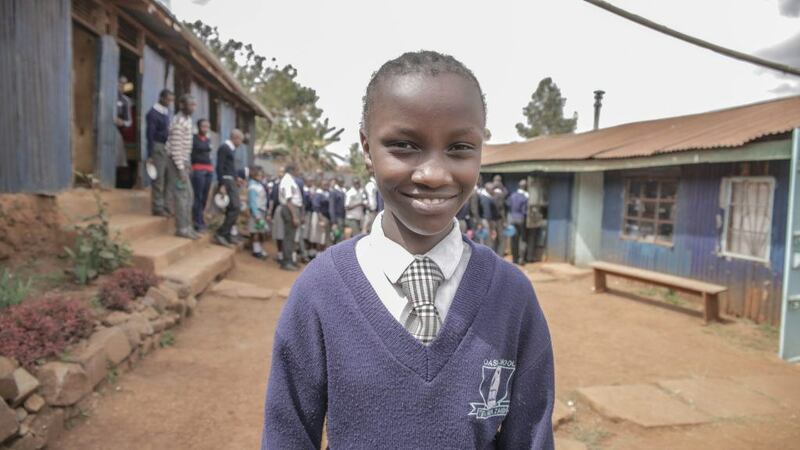 The program works to make schools more girl-friendly and gender equitable. 9. Gender-based violence remains high around the world. The WHO reports that 35.6 percent of women have been subjected to physical or sexual violence. 10. Predictions about health–related matters have proven to be pretty tough to make. At CMMB, we do our best to implement programs that are successful and accepted by the communities where we work. However, we sometimes encounter unexpected obstacles. In one rural village of Kenya, community members began rejecting water purifying tablets that were distributed to help combat the health risks linked to consumption of contaminated water. Our team on the ground went to investigate the cause behind the rejection. After speaking with different members of the community they learned that people didn’t trust the water purifiers. They believed that they were dangerous, and would even lead to death for those who used them. Patiently and carefully, our community health workers held meetings to listen to the concerns of the people, to provide education, and to dispel the myths that has emerged. This story highlights the importance of communication and really listening. Change takes time, understanding, and a commitment to community involvement. “Health for all” has been WHO’s guiding vision for more than seven decades. It’s also the impetus behind the current organization-wide drive to support countries in moving towards Universal Health Coverage (UHC). What does Universal Health Coverage mean? It means that all individuals and communities receive the health services they need without suffering financial hardship. It includes access to quality health services including health promotion, prevention, treatment, rehabilitation, and palliative care. 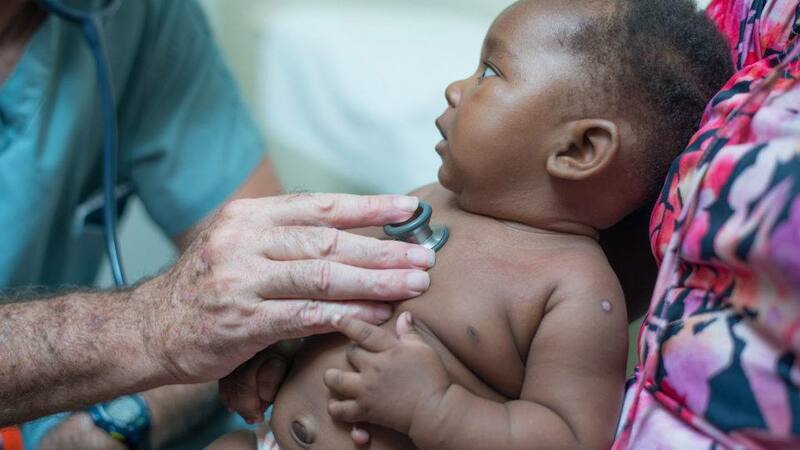 Right now, in Zambia for example, the doctor-patient-ratio is reported as one doctor to every 12, 000 patients. The WHO’s acceptable ratio stands at one doctor to every 5,000 patients. Universal Health Coverage (UHC) is possible and every day countries around the world are making strides towards achieving it. At CMMB, we are always looking for new ways to bring women, children, and their communities adequate and affordable healthcare. However, it is not enough. As a global society, we need to come together and join hands for a fairer, more accessible healthcare system around the world. Act now. Everyone has a role to play. What’s yours?